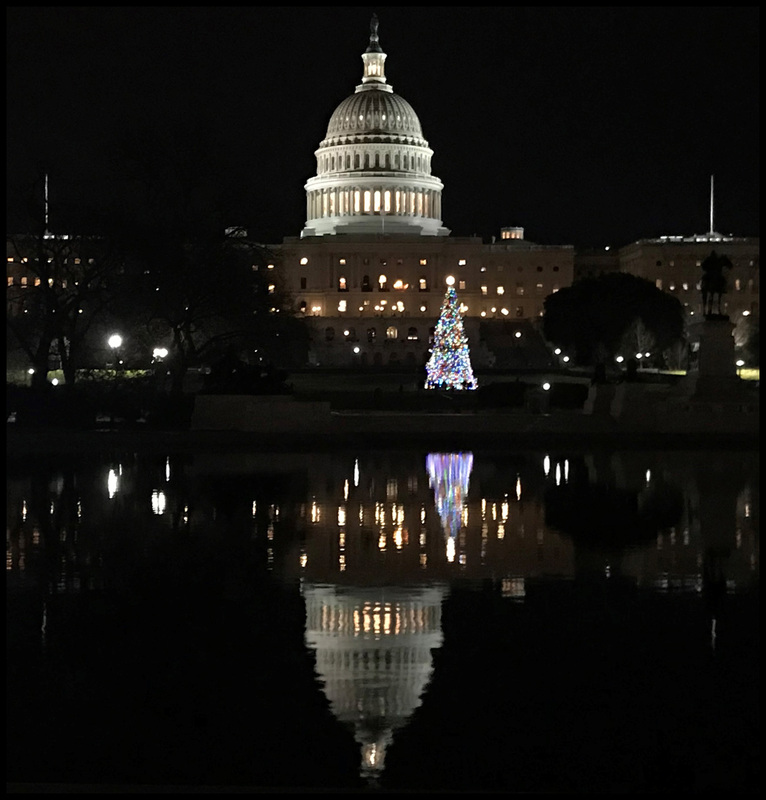 WASHINGTON, D.C., Dec. 8, 2017 – Following a 2-1/2 week, nearly 3,500-mile journey from northwestern Montana, the U.S. Capitol Christmas Tree was lit in a special ceremony Wednesday evening (Dec. 6) on the Capitol’s West Lawn. 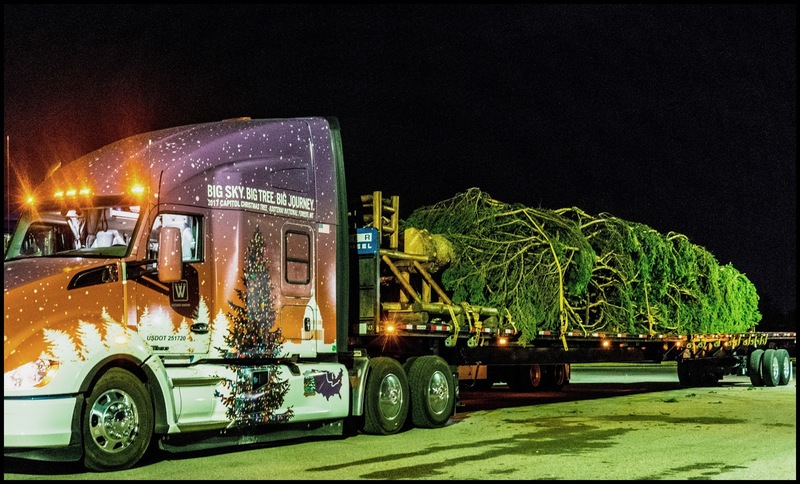 The 79-foot Englemann spruce, nicknamed “Beauty of the Big Sky,” was adorned with thousands of LED lights and ornaments handmade by children from Montana and topped with a 5-foot tall star made of copper mined and processed in the Treasure State. 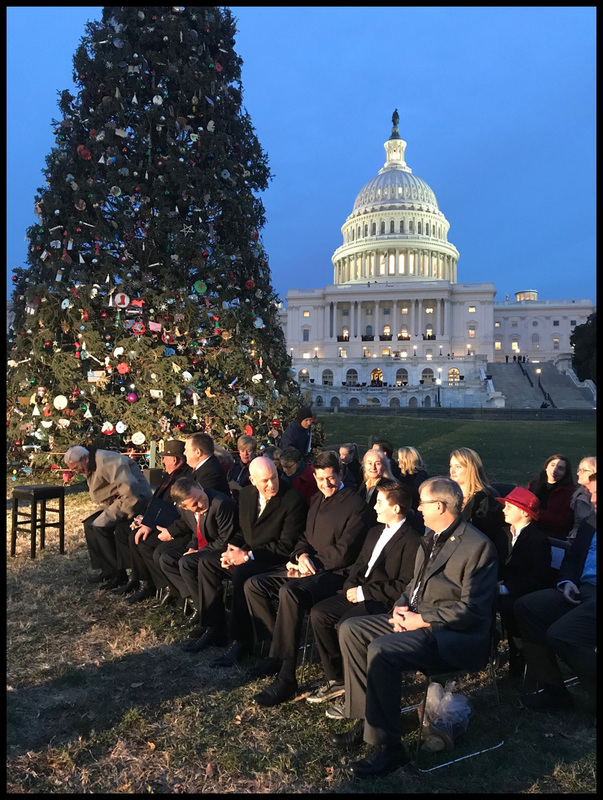 Ridley Brandmayr, an 11-year-old Bozeman, Montana, boy who lost his fingers on his right hand in an accident this summer, lit the tree with U.S. Speaker of the House Paul Ryan presiding over the ceremony. 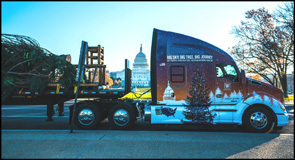 After being harvested on Nov. 7 in a remote area of the Kootenai National Forest in Montana, the tree was transported from Libby, Montana, by a specially-decaled Kenworth T680 Advantage to 23 stops, including the driver’s hometown of Plains and childhood home near Fargo, North Dakota, before arriving at the Capitol on Nov. 27. The Kenworth T680 Advantage was driven by Larry Spiekermeier, an owner-operator contracted with Billings, Montana-based Whitewood Transport. During his 49-year career as a truck driver, Spiekermeier has amassed 3.5 million accident-free miles – 1.6 million of those miles with Whitewood Transport. He was twice honored as driver of the year by the Motor Carriers of Montana. “Having the opportunity to watch as ‘The People’s Tree’ was lit up at the U.S. Capitol was an incredible way to end what has been the crown jewel experience of my 49 years of driving trucks. That experience was made even more special as I was joined by my wife, children and several others in my family at the ceremony,” Spiekermeier said. 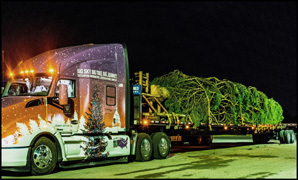 “Driving that Kenworth T680 and delivering ‘The People’s Tree’ was an awesome experience,” Spiekermeier said. For him, the most memorable part of the trip was seeing the faces of the people who came out to each event by the hundreds. “The children were so happy to catch a glimpse of the tree,” he added. The T680 Advantage featured the PACCAR Powertrain equipped with the PACCAR MX-13 engine, PACCAR 12-speed automated transmission with column-mounted shifter, and PACCAR 40,000-pound tandem rear axle. The T680’s specifications include a 76-inch sleeper with Kenworth’s premium “Driver’s Studio” option, TruckTech+ remote diagnostics system, predictive cruise control, idle management system, driver performance center, and premium GT703 seats. The tour attracted thousands of visitors as it traveled through Montana, North Dakota, Minnesota, Missouri and Kentucky. The tour trailer featured a 3-foot wide by 15-foot long clear acrylic window allowing people to see a small section of the tree top, which was lit up with lights. 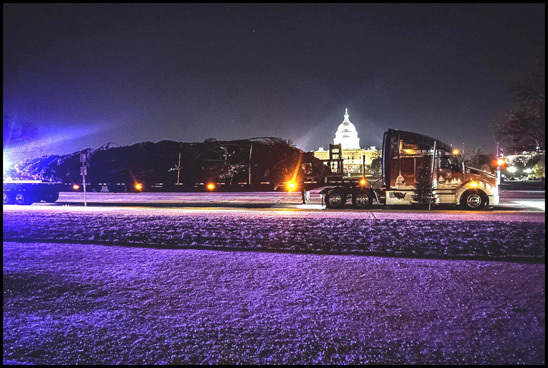 Spiekermeier said the tree’s lights could be kept on for most of trip using the T680 Advantage’s Kenworth Power Management System, which has deep-cycle batteries and shorepower capability. “Everywhere we stopped, we tried to convey the message of the tour – ‘this is your tree,’ ” Spiekermeier added.